This is about as good as it gets for car prices! Just like Zillow for cars. 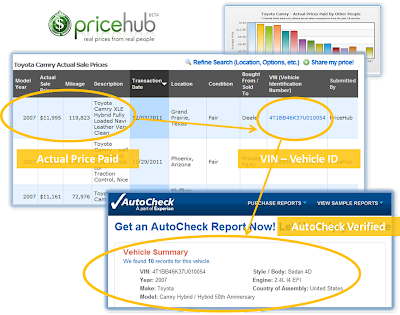 I know a site where you can check the VIN number of your car, at much lower prices. Thanks for the post. BTW, here's the free community VIN decoder. It shows extended tech info and list of factory options. Hope the tool will be helpful for car owners. In light of recent developments in the used car market, there really is a huge threat to buy trash instead of a good vehicle. Negotiate with the dealer, bribe him but at any cost, you should learn the VIN code! And if possible, check the machine with help https://vincarhistory.com/vin-decoder and even send your future car to a maintenance station. These are acceptable security measures.